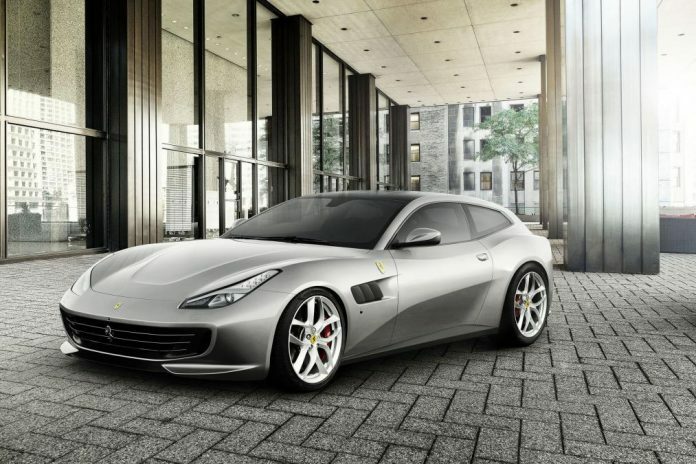 Ferrari has unveiled the details of its new hatchback Ferrari GTC4 Lusso T. Manufacturer has refurbished the FF, four wheel drive, and two door vehicle. Ferrari is planning to introduce the car officially at the upcoming Paris Motor Show 2016 next month. This would be first four seating car in the history of Ferrari with a V8 engine. The car will make its debut with a massive V12 engine, and a second variant which is a bit less expensive worth about $300,000. Company executives describe the new Lusso T as a sporty hatchback ideal for the one who chooses high performance with great interior practicality. They also said that the Lusso T will mainly attract younger buyers with a comfortable feel and an aggressive, tactile driving experience. The engine of the car remains same of Ferrari California T and produces a horsepower of 602 units and releases 760 Nm torque. That’s a drop out of 78-hp from GTC4Lusso’s V12 engine. With a top speed of 320 kmph Ferrari abandoned the four wheel drive complex which helped shed huge weight. The GTC4 Lusso T’s dynamic control systems have been sported with new settings for the car’s four wheel steering and Side Slip Control (SSC3). Its engine also makes use of Variable Boost Management to get rid of the turbo lag and provide light torque curves from third to seventh gears, making of more linear acceleration. No other details about the performance have been released at this moment, But is expected that the V8 variant will add a few 10ths to the V12 model. V8 will become the entry level model in the GTC4 range.